Stephanie Heman, the current vice principal at Monett High, has been named the new principal of the school. This comes after the recent announcement that Monett’s current principal David Williams will be transferring to the school’s new alternative school located in the former agricultural building. Heman started with the school district for two years. During her time as a teacher, Heman worked as a biology teacher and a coach. She coached several sports throughout the years, including volleyball, basketball and soccer. She eventually became assistant principal in the Webb City School District for nine years. Heman expressed enthusiasm for the role, saying that she had been working toward it for a long period of time. Heman went on to explain that her love of children and her desire to build relationships within the school led to her desire to take on an administrative role. Heman also explained that while she found teaching to be fulfilling, she enjoys the excitement that operating on an administrative level brings to her day. Heman explained that her administrative role allows her to pursue her true passion, which is allowing children to succeed in life. “I love to teach kids things and help them experience success and celebrate success when they have it,” said Heman. 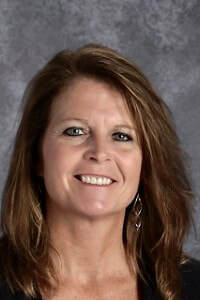 Monett Superintendent Russ Moreland explained that, in addition to her love of educating children, a variety of other factors influenced the board’s decision to hire her. “Stephanie is very driven to be successful. She’s driven to see kids succeed, “ added Moreland. Heman will officially begin her duties during the 2019-20 school year, which will begin this August. Heman graduated in 1991 from Pittsburg State University with a bachelor’s in education. She went on to receive her master’s degree in education from Drury University in Springfield in 1994. After several years in the classroom, Heman returned to her studies to receive her master’s in educational administration from Missouri State in 2007 and her specialist’s degree in 2014.